Claims website is now open. The time has almost come for Nvidia to pay the piper, and you're the piper, provided you live in the U.S. and purchased a GeForce GTX 970 graphics card sometime between September 1, 2014 and August 24, 2016. If so, you're entitled to a $30 refund per card as part of a proposed settlement agreement. This all has to do with the way Nvidia implemented 4GB of GDDR5 memory on the GeForce GTX 970 and its unique memory crossbar configuration. As designed, one of the card's ROP/L2 partitions was disabled, which gave the card 56 ROPs rather than 64. It also meant that a 512MB segment of the onboard memory was significantly slower than the remaining 3.5GB. Nvidia was slow to disclose the memory arrangement and number of ROPs. Even with the funky configuration, the GeForce GTX 970 was a high performing card for the money at the time, though in situations where games would try to utilize more than 3.5GB of RAM, slowdowns could occur. This caused an uproar among gamers who felt Nvidia had mislead them. This eventually led to a class action lawsuit, and the $30 refund is the agreement that's been reached. 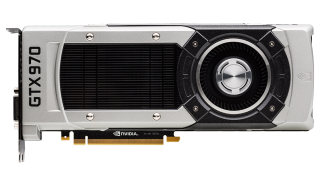 It applies to all GeForce GTX 970 cards sold by authorized retailers in the U.S. between the aforementioned dates and includes cards branded by Nvidia's hardware partners, those being Gigabyte, Asus, EVGA, Innovision Multimedia, Palit, PC Partner Group, Manli Technology Group, PNY, and Zotac, along with each of their subsidiaries. As part of the settlement, Nvidia denies any wrongdoing. There's no limit to the number of claims you can submit, though proof of purchase is required. This can be a sales receipt, credit card statement, shipping manifest, purchase order, an email confirmation, or some other similar documentation that shows you bought the card(s). You can find more details about the claim by going here. If you want to file a claim, go here and follow the prompts. You have until November 30, 2016 to file a claim, or you can opt out by November 8, 2016 and retain your rights to sue Nvidia. You also have until November 8, 2016 to object or comment on the proposed settlement. If you do nothing you give up your right to the proposed settlement along with your right to sue Nvidia. The settlement is pending a final approval hearing scheduled to take place December 7, 2016.